There have been a LOT of great watercolor cards floating around lately.... of course, they took hold in my brain and I had to give it a try! 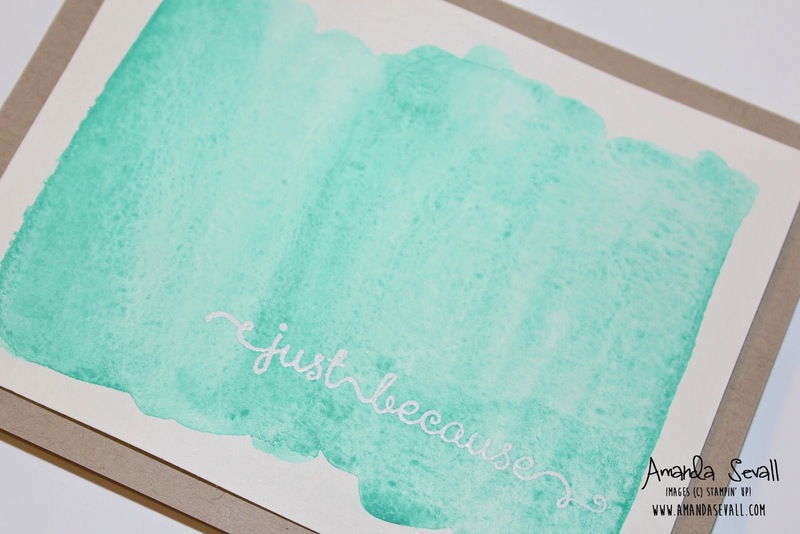 It is also the PERFECT use for the Stampin' Up! Aqua Painter -- talk about easy! Just dip your Aqua Painter in the color you want and off you go -- the perfect amount of water, no messy brushes to clean up, and (most important to me) no cup of water to spill all over my desk! If you don't have one, you might want to get one! 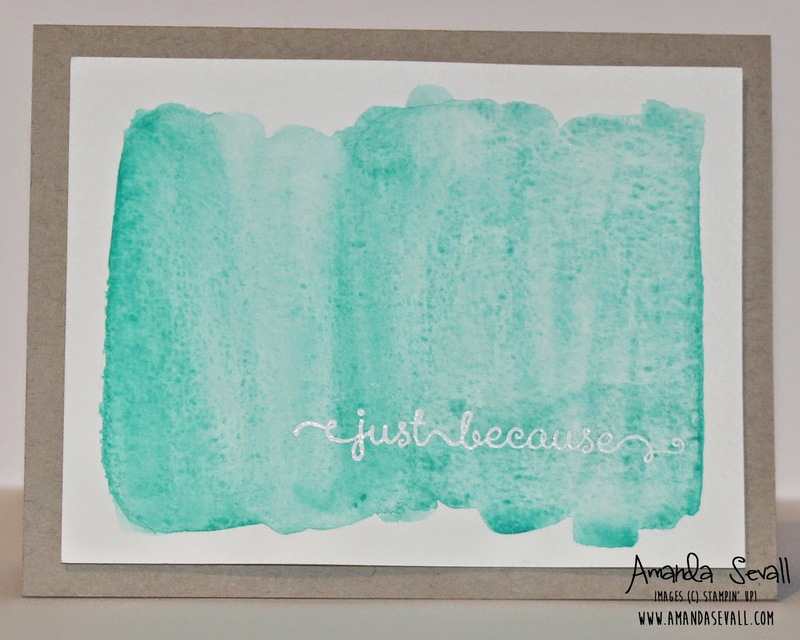 Have you played with watercolors in your paper crafting? I'm not a fan of overnight drying time or using tons of adhesive. But the effect is really cool!